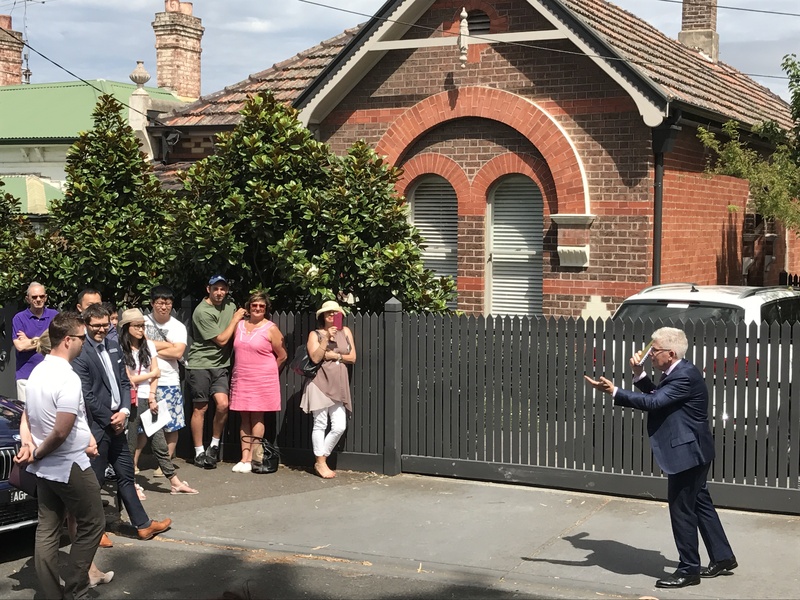 Auctions are back for 2017: one of the best voices in real estate, Julian Augustini from Hodges, in action at 344 Hampton St, Hampton. Welcome back to the property market for 2017. After a strong finish to the 2016 Melbourne market, it appears likely (if open for inspection numbers are anything to go by) that the good properties will be well contested again this year. There appears to be a greater supply of stock in many suburbs compared to the same time last year, which will no doubt be pleasing for buyers. 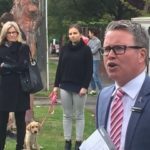 The number of homes auctioned on Saturday was still low: only 433 across Melbourne, according to the REIV, with an 82% clearance rate. Next Saturday will be stronger; however, it is unlikely we will be able to get a good read of where the market is heading until February 25 and March 3, which are both shaping up to be big auction days. Very good numbers at open for inspections for the properties with good fundamentals and/or that have been well marketed. Increased numbers of apartments and ‘off-the plan’ properties for sale. Off market properties continue to proliferate the market – although just because it’s off market doesn’t mean it is a good property. We would rather our clients buy a great property at auction than an average property off market. Improved stock levels – better than this quarter last year, which was nearly over, before it even started, because of the early Easter holiday. March numbers are looking healthy. A few agents have mentioned that their photography agencies have been so busy they have had to employ freelance staff to keep up with demand. Downsizer properties continue to attract very strong interest and there has been an increased number of Asian buyers inspecting property in areas of Melbourne we haven’t seen before, particularly since Chinese New Year. With the new quoting laws due to commence mid-year, some agencies have adjusted their quoting policies. This may make it harder (in the short term) for buyers to understand prices when comparing properties, and, for some, who simply add 10-20%, it may help fuel an already strong market and push prices even higher. Understanding values is likely to be more important than ever for buyers. Independent advice designed to achieve your goals, not the sellers’, may be the difference between success or not. One of the first auctions of the year. 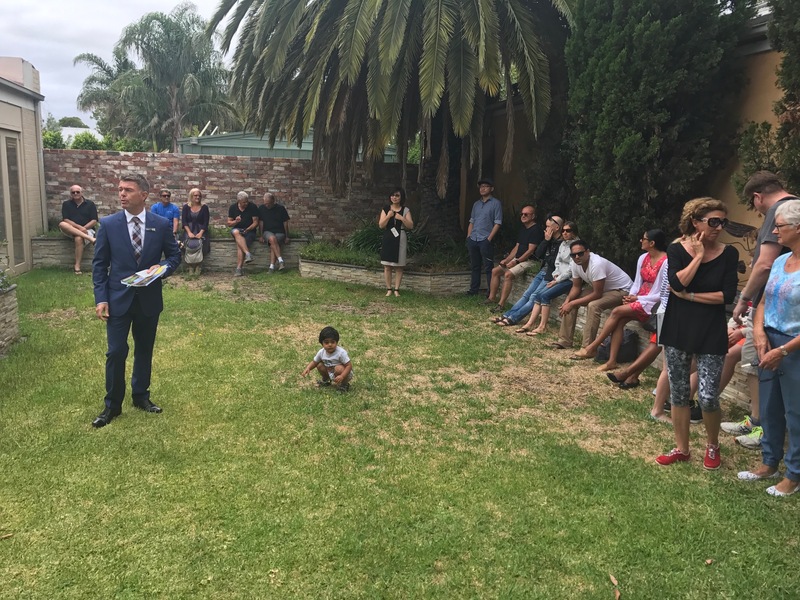 A good crowd saw Paul Caine (Caine Real Estate) sell this property under the hammer. One of the first auctions of the year, so a good opportunity to see what the buyer sentiment was for the opening of 2017. 47 Brougham features a neat, single-level updated timber period home with good garaging at the rear. Being well positioned to Kew Junction means it should always attract good interest, Auctioneer Paul Caine gave an insightfully preamble, explaining the definition of the word ‘Brougham’ (it more or less means ‘fortified village’, dating to the 7th century). The 100-strong crowd seemed engaged with this, and when the auction started the opening bidder come in quickly. Not long after, bidder 2 joined in and the auction was off and running in mixed bid amounts. At $1.53m, the property was announced on the market and then bidder 3 came in late and eventually bought the home for $1.668m. If this auction is anything to go by, then the single-fronted smaller home market will do quite well in 2017 – let’s see. Doug McLauchlan (Marshall White) was the auctioneer here, where more than 100 people gathered in the leafy street to watch. Both sides of the leafy street were filled with people for the auction of this property. The property offers excellent potential to renovate and extend the current Edwardian, or start afresh on the 1,066sqm block (STCA). An extra wedge of land was added to the property some time ago, improving the connection to the parklands and trail along the western rear. 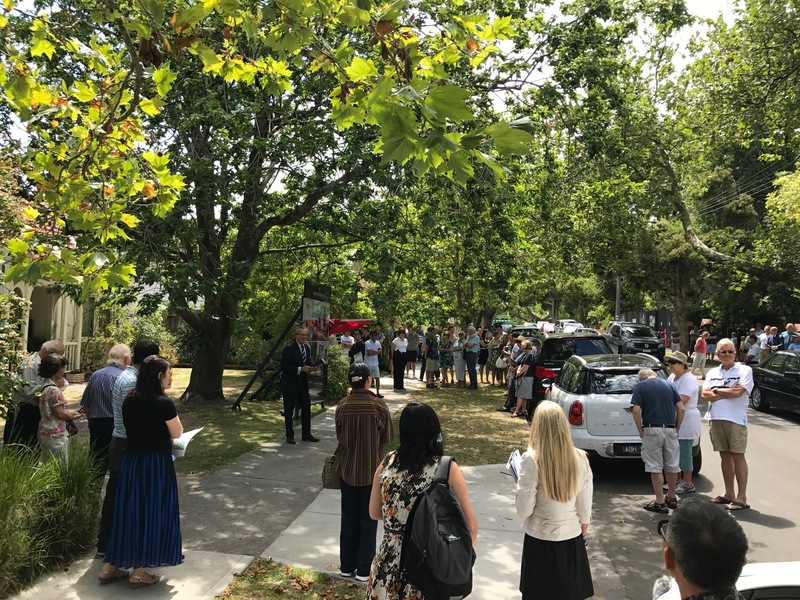 While the crowd was large, Doug McLauchlan from Marshall White had to start proceedings with a vendor bid of $3.7m to coax out a bidder who offered an additional $100,000. The property was eventually passed in at this level, and is now for private sale for $4.25m. Halli Moore, Buxton Brighton: Buyer demand is up compared to last year and there are strong numbers at inspections. I think there has been pent-up demand over Christmas due to the lack of stock last year. Many buyers are keen to buy before auction, which has seen some strong prices achieved. We are also seeing quite a few off-market transactions. We need more stock but it should be a good year.